Divorce « The Law Office of Linda A. Bailey, P.A. Competent counsel can help alleviate the uncertainty caused by divorce. Many factors come into play during a divorce: children, co-parenting, your short- and long-term financial health, assets and liabilities, future earnings, support and others. 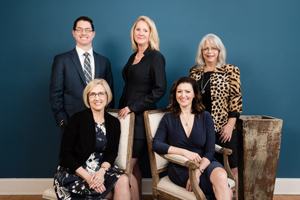 The experienced attorneys at The Law Office of Linda A. Bailey are dedicated to helping you navigate through all of these complicated legal issues. We encourage our clients to depend upon us to manage this very difficult time for them in a competent and settled manner, which can make a huge difference in their divorce experiences. Your divorce process can be more bearable if your lawyer can establish predictability, create structure and provide sound advice based on years of experience. Dissolution of Marriage. Our policy is to make all attempts to resolve temporary issues, minimize emergency situations and reach closure with as little distraction as possible. It is our job to help minimize the emotional nature of the situation, add perspective, give solid advice and get clients to the end of the process in the most direct ways possible. Unnecessary drama creates unnecessary litigation, which causes unneeded stress and unreasonable fees and costs. We work hard to maintain professional relationships with opposing counsel, to explore every avenue for settlement, to be forthright in dealings with the court and to be accessible and informative to our clients. Resolution of dissolution of marriage cases often can be accomplished through mediation, where both spouses negotiate with the assistance of their respective counsel. Mediation often helps clients, rather than judges, control the terms of the divorce. However, if one spouse is uncooperative or hostile, or when genuine issues of disagreement remain, litigation may be the only option. 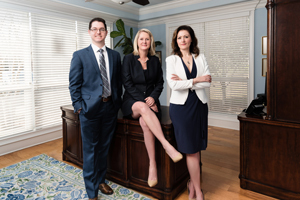 As experienced litigators, we are committed to zealously protecting your rights in all aspects of your family law case.